After a morning of sessions filled with discussions the Congress goers donned their field clothes and headed out for an afternoon in the forest. 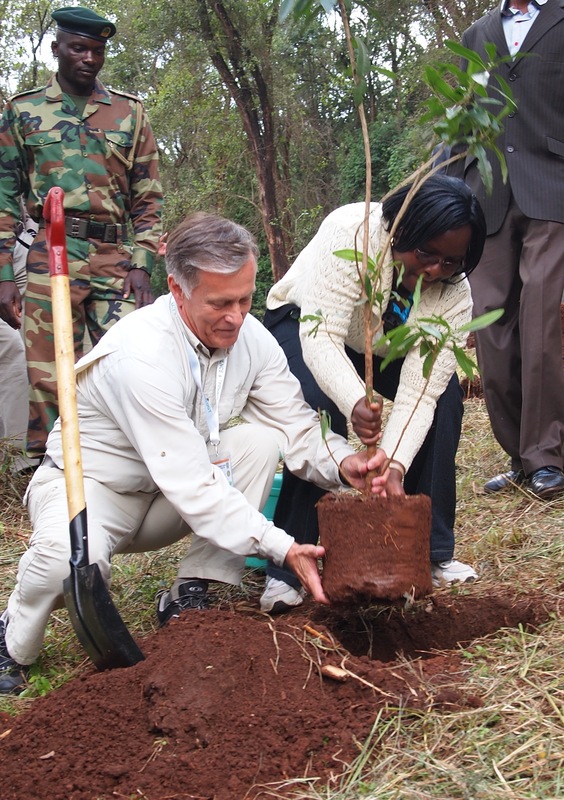 IUFRO President Niels Elers Koch and a representative from the Friends of Karura Forest plant a tree together. Karura Forest, the renowned urban forest in Nairobi was the destination of the in-Congress tour for the participants. The forest became internationally famous and a crowning achievement for conservationists in the late 90’s. There was huge pressure to clear the forest and create housing projects and the conservation community led by the late Nobel Peace Prize Laureate Wangari Maathai carried out a large public campaign to save the forest. The forest will forever be seen as a symbol of success and serve as a reminder of what a community can do when they come together to challenge land grads. The excursion started off with a ceremonial tree planting which saw trees being planted by FORNESSA Coordinator Joseph Cobbinah and IUFRO President Niels Elers Koch with representatives from the Friends of Karura Forest – a community forest association dedicated to protecting the urban forest. Amidst constant conversation the excursion led the large group of participants by trail to the Mau Mau Caves. As the participants continued their hike underneath the canopy of the forest they were greeted by the growing sound of music. 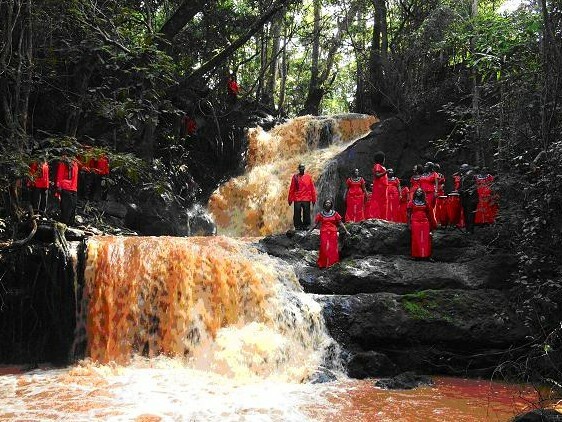 Following the river to the waterfall an enthusiastic Kenyan choir lining the waterfall performing a traditional song and dance greeted the excursionists.